Over the last few months I've been enjoying working more with my watercolors. I've done a few commissioned pieces, family portraits and some verses. I've not mastered the art of including calligraphy and lettering into my works like some people I've seen. Just do a search on Instagram and you'll find some amazing work. If there were more hours in the day I might have more time to spend practicing, but I'm enjoying it when I get to do it. 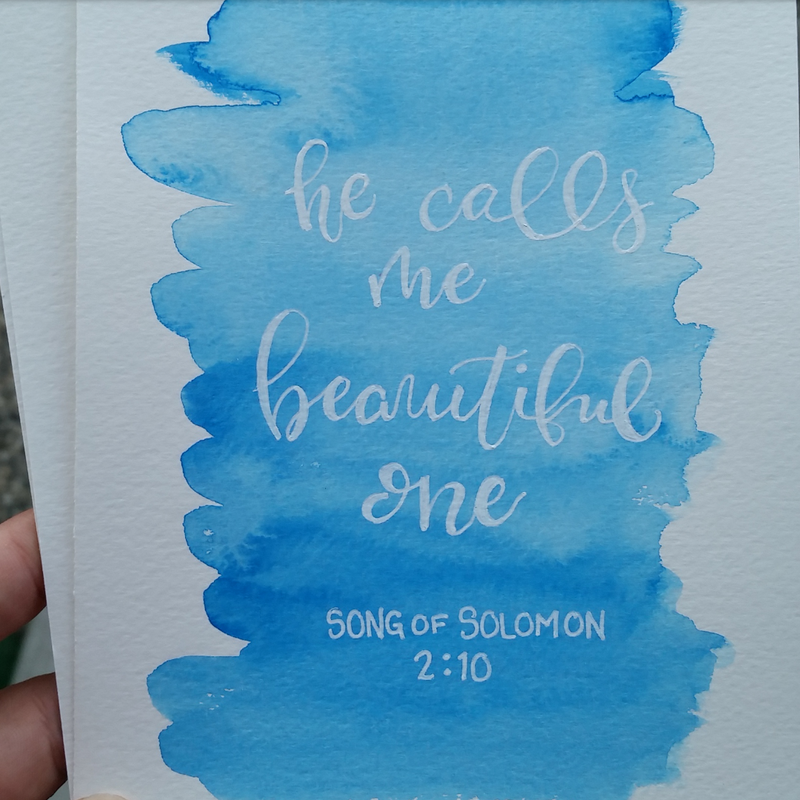 The verse above from Song of Solomon jumped off the page at me the other day. I decided to write it out, and then caught myself when it was all done. I made a little *bloop* right in the middle of the page! How fitting, actually. God's love surpasses our bloops. The verse is still beautiful, even with my little mistake. You and I are still beautiful despite our mistakes and imperfections. Really think about it though...God calls you beautiful. You. And me. Let that soak in for a few minutes. You are beautiful. Now....to fix that little *bloop*.